Dealing with a Sewage damage and don’t know what to do next? It’s recommended for you to make sure that you aren’t waiting for too long until contacting the professional while not trying to take care of the problem by yourself. That’s will be the best way for you to choose because you’ll be able to return everything to normal state pretty fast. Many times sewage damage might indicate that under the surface there’s a pretty serious issue that it’s important to be aware of. With the help of a professional it will be possible to detect the root of the problem and deal with it the best way possible. Therefore it will be recommended for any of you to take it seriously and not wait for too long if there’s an issue with the sewage. In case you’re planning to order a professional to your home, it’s important to remember that the equipment that he uses is very crucial for having a successful and long lasting fixing. Therefore you shouldn’t be scared to ask about such things because it’s very important. Only those who will ask the important questions will be able to make sure that they will get the best service possible. If you don’t want to be disappointed then you should make sure that you take all of those things very seriously and you shouldn’t wait for so long. That will be the best way possible to act and guarantee that everything will be exactly according to your plans. You can be sure. Our company, Drycarerestoration, could provide any of you with the best sewage damage services in Los Angeles. 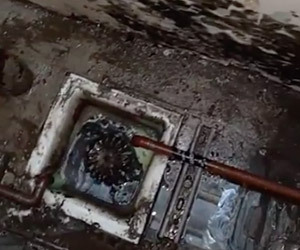 You can be sure that we hire professionals that have experience of many years and ones that knows exactly how to deal with any kind of sewage damage and make any kind of sewer backup in Los Angeles. More than that, we could be at your home in Los Angeles within a maximum of 45 minutes! You can be sure! So don’t wait for so long and contact us now!